October 5th the teacher’s day celebrates in Afghanistan while the teachers and the education personnel of the country as a whole still suffering serious problems and earlier commitments for reducing the problems have not put in practice yet. 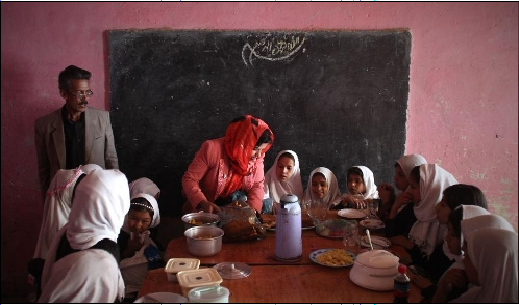 BNA educational affairs analyst commenting on the issue writes: Like other countries, october 5th is celebrating as the day of teachers in Afghanistan but still there are tremendous problems and challenges on the way of teachers and education in the country. Insecurity, poverty and social injustice still harass the minds and the thoughts of teachers. October 5 every year celebrates with chanting new slogans but nothing has been made for the reduction of problems of teachers and education of the country. The problem is this that the relevant authorities rely more on using ceremonial words and use the ceremony for their own popularity in community. While the teachers who aware and enlighten the community and while not only suffer from insecurities in the country but because he/she armed with knowledge is the direct target of terrorists. We have been the witnesses of deadly incidents against the teachers. Currently thousands of schools are closed before children and hundreds of thousands of children are deprived from going to school and armed opposition groups use the schools as their military base and strongholds and or the teachers, pay so called tax from their small salaries for Taliban and IS which is a severe strike against the mind and economy of teachers. Today, everyone can openly see economic poverty in the house of every teacher, low salary, lack of residential house have tired the mind and body of our teachers. What have been mentioned above are part of problems that the teachers are facing right now. Ensuring security, life threats against teachers and education personnel, Just using pretexts and meaningless reasoning cannot solve any problem. Without doubt this year as previous years, the authorities of Education Ministry will talk about problems and will make new commitments and certainly like the past the commitments will never put in practice. The fact is this that the current structural system of education has its own problems. The authorities should focus on. Let’s, give a gift for the teachers, they are deserved, this is to ensure their safety, remove their mental concerns, improve their family economy and end all social shortages. These would be. Their requirements to be met and can satisfy the teachers and the education staff.